I went searching on the web for how to make my favorite candy bars at home. 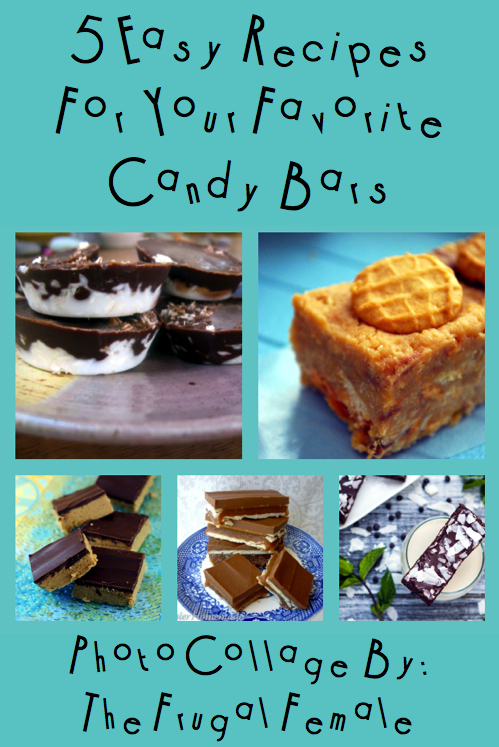 When I ran across these recipes for candy bar desserts, I thought how can you go wrong? The best part is they do not require baking. Surprise your family with homemade “Mounds” candy bar cookies, Nutter Butter Butterfinger Bars, Reese’s Peanut Butter Bars, Twix Bars and even Peppermint Patty Bars.